CRC 2-26 is a Electrical Contact Cleaner. 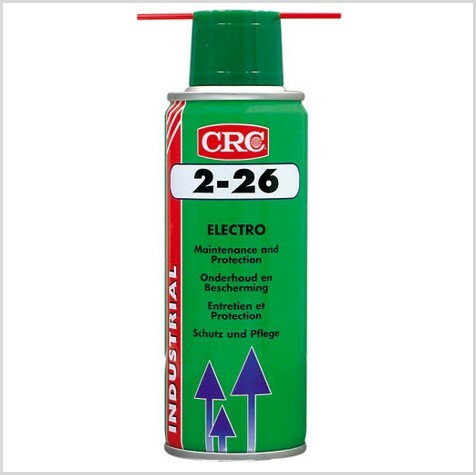 CRC 2-26 is a multi-purpose maintenance spray for electrical equipment preventing electrical and electronic malfunction caused by water penetration, humidity, condensation or corrosion. The stable, low surface tension, high capillary action formula provides great penetrating and spreading power. CRC 2-26 is a Electrical Contact Cleaner, which Displaces Moisture, removes Carbon Deposits & Oxidation from Electrical Contacts.